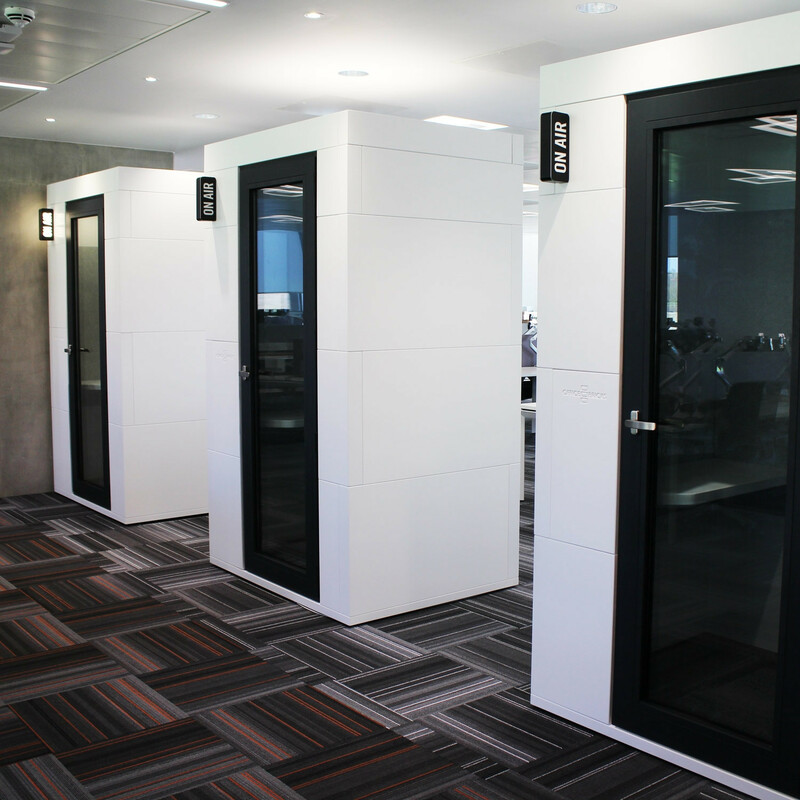 Bricks Phone Booths is an innovative flexible and space-saving, soundproof privacy unit for single users with a 46db rating. 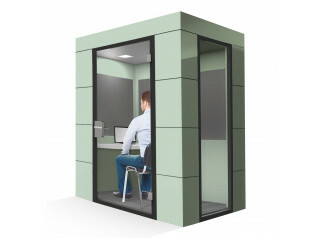 It provides an inaudible concentration space for undisturbed private phone calls, conference calls or a work space for one person. 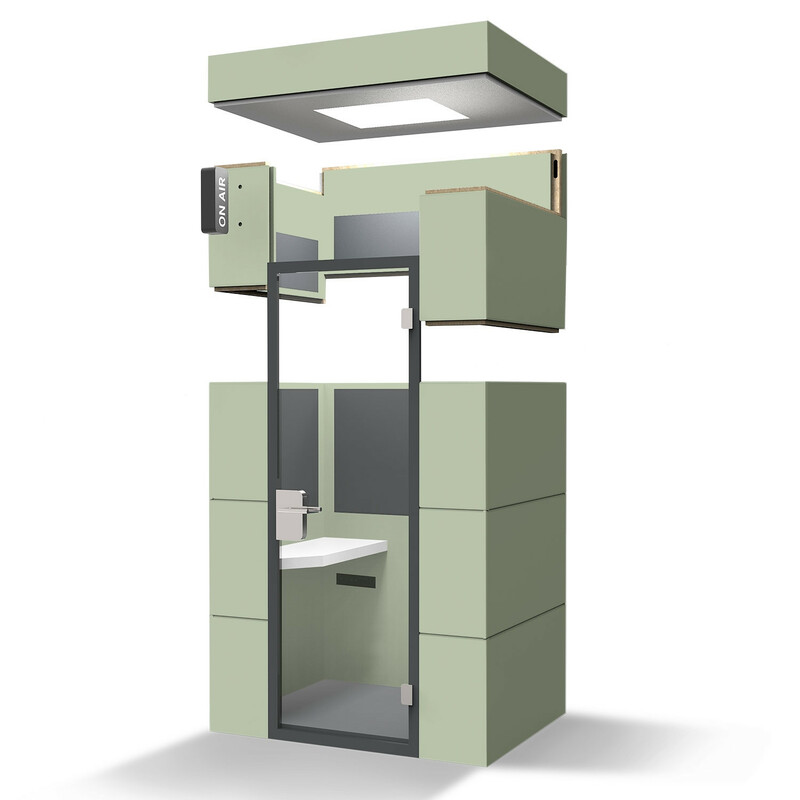 Bricks phone booth is the smallest unit is the Bricks privacy pod range which provides the user with an inside space of 1220 x 900mm. 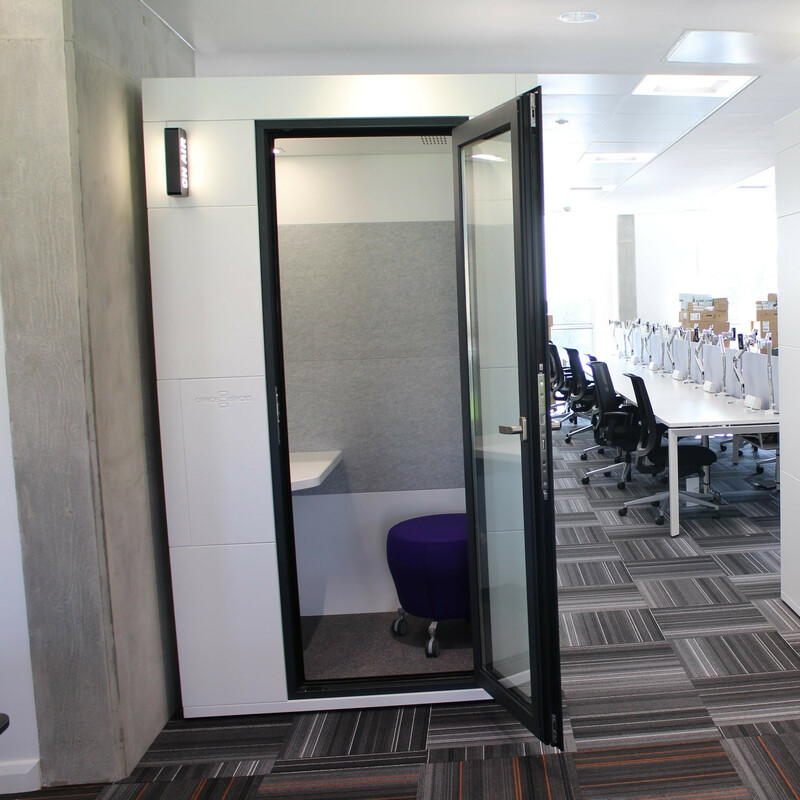 Sound isolation is supported with a double-walled structure and a double-glazed window and door. 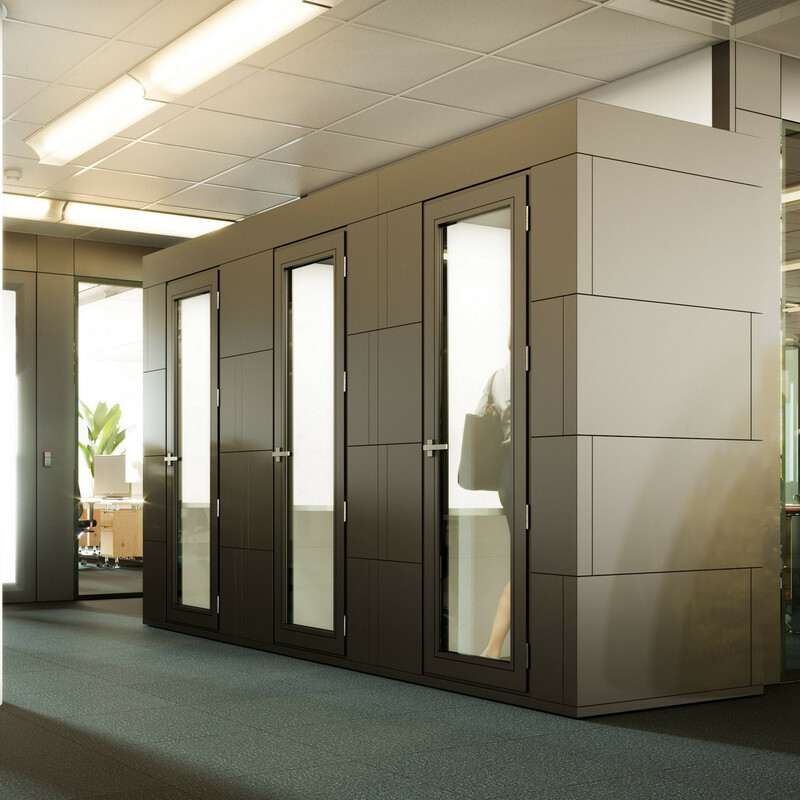 Bricks Phone Booth is a modular system that is quick to assemble and disassemble, while creating a truly effective sound-absorbing private work space. It is ideal for any environment from open plan offices, start-ups, call centres, agencies, trade fairs and road shows, lounges (airports, train stations, etc.) and noise intensive Bricks Phone Booth comes with an integrated desk, space for a bar or leaning stool, working light and electric fan for fresh air. The phone booth also offers the power and data connections ranging from electric sockets, Ethernet ports and USB. 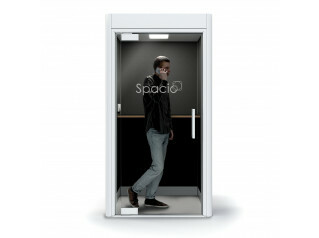 Have your phone booths customised and add your company name or name your booth. All pods in the bricks range can have logo milling applied or texture printing. Texture printing allows you to apply any colour or texture to the shell of your booth. You are requesting a price for the "Bricks Phone Booths"
To create a new project and add "Bricks Phone Booths" to it please click the button below. To add "Bricks Phone Booths" to an existing project please select below.